I was looking at a post on Hooniverse today. LAAS- Range Rover Makes Whoopie. LAAS if you don’t want to Google it is Los Angeles Auto Show. The picture below is from the post. Its a humorous one indeed. 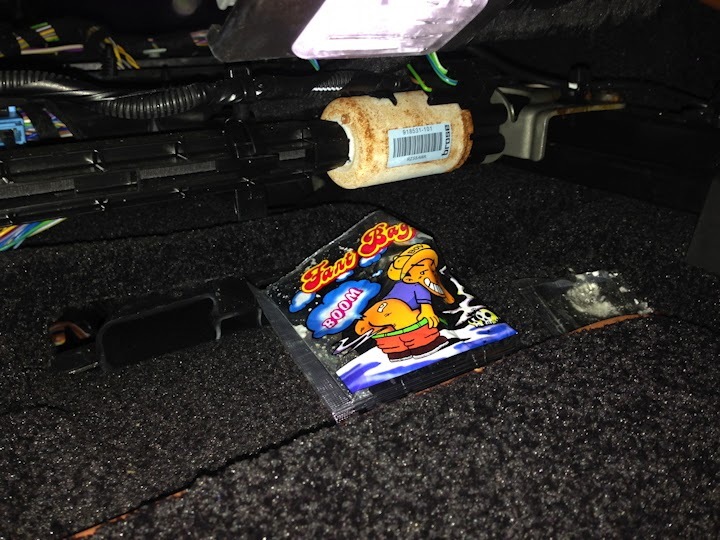 Some one has placed a “Fart Bag” under the seat of the 2014 Range Rover’s seat. Fourteen year old’s the world over know the humor value of a well placed fart bag. But that is not what caught my eye. Look above it. The white Broce electric motor. What do you notice? Yes, rust. Really? That is a 2014 model. Who installed that motor? Did they notice anything wrong with it? Okay, I know what you are thinking so I’ll go there now. So maybe it wasn’t like that at the factory. Well, its like that now at the dealership. What do you think it costs for a dealer to fix that? The 2014 Range Rover is astronomically expensive. I’ve bought a four bedroom house for what the 2014 Range Rover costs new. The bottom five scoring brands in the survey were Volkswagen(174 problems per 100 vehicles), Chrysler’s Jeep brand and Mitsubishi(each at 178), Chrysler’s Dodge (190) and Tata Motors Ltd’s Land Rover brand (220). Knowing this is a perennial problem you would think Land Rover would begin to sort that out? And don’t try to blame that score on the fastidiousness (again with the fancy words WTH?) of the wealthy owners. They sent one of their models to A CAR SHOW with that sort of problem. I know people aren’t crawling all over these models but this is just part of the culture that is Land Rover now I guess. Workmanship. I’ve long preached that “customer service” has been dead so long people have completely forgotten what it even was. 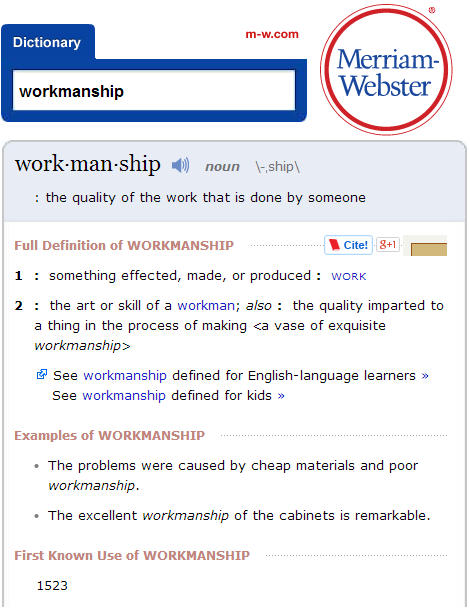 Let’s look at the definition from Merriam-Webster. Number two is the definition we are most interested in. “The quality imparted to a thing in the process of making.” Look at the examples…Holy crap! Nailed it! The standards of the products being supplied to Land Rover to make their vehicles must be very low or perhaps marginal. I get it that everyone wants to cut costs and increase profits. The factory makes it’s profit and then passes the auto to the dealership and they have their profit. But those profits are cut down by a repair at the most expensive end of the chain when a electric motor in a seat is sent in to be repaired. The Japanese saw this decades ago. There might be a hundred books (nay, a thousand) about how the Japanese changed their manufacturing culture. I’ll give you their autos are somewhat soulless boxes that are not terribly fun to drive. They drive just like every other vehicle from that little island or the factory in Tennessee, whatever. We have a Honda CR-V and a Scion xB. They are bullet proof mechanically speaking. My Honda Civic was also very reliable. But it was not fun to drive. There was no character at all. The Honda CR-V might be the most uncomfortable car I’ve ever driven. 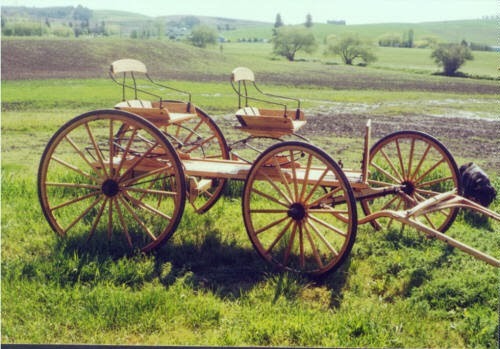 I think riding on a buckboard would be more comfortable than that uninspiring metal box with tires. Who cares if it gets double the gas mileage of the Range Rover if you can’t walk when you get to your destination. The seats in my twenty-year old Range Rover are far superior to the CR-V. That is a design issue. My Range Rover is a luxury vehicle. Look at the seats in a Defender. Function first right? So with that I’ll wrap up. It’s been a week of rants now hasn’t it? On November 14th I had a 245 page view day. I wonder what that says about my workmanship on this blog? I met Matt McDonough this week. He rolled up on me at the On-Cue and we had a long chat. I was impressed at his penchant for tearing down motors. I’ve never been in a motor on my own. To me that is sort of like going into Lonely Mountain to visit Smaug. Thanks for reading, have a good week, and Happy Rovering. This entry was posted in Dealers, Honda CRV, Land Rover Corporate, repairs. Bookmark the permalink.